28 June, 2018PREFACEIndustriALL is against all forms of corruption. At IndustriALL, we aspire not only to be compliant with regulations on finance, but also to act in a socially responsible manner.The IndustriALL's anti-corruption regulations are a guideline for all employees and others who act on behalf of IndustriALL, including the IndustriALL staff outside the Geneva Headquarters in the various parts of the world.This guideline lists different types of corruption that IndustriALL might come into contact with in connection with, among other, international projects and development cooperation. It also describes the basic provisions and anti-corruption standards that should be met.The main purpose of the guidelines is to prevent corruption. It is nonetheless important to point out that breaches of IndustriALL's anti-corruption regulations or relevant provisions can entail disciplinary reactions, including termination of contract, dismissal of employees, freezing of financial support, and/or notification to relevant authorities. The objective of the anti-corruption regulation is to boost awareness and provide guidance for IndustriALL's employees and others who act on behalf of IndustriALL, as well as IndustriALL’s partners, about what corruption is. The standards in IndustriALL's anti-corruption regulations are comparable to those laid down in national and international anti-corruption legislation. Corruption can be defined as giving / offering (active corruption), or requesting / receiving / accepting (passive corruption) an undue advantage in connection with a position, office or assignment. In determining whether corruption exists, one must first consider whether there is an "advantage" and then whether it is "undue". An advantage will usually have financial value; e.g. money, artefacts or services. An advantage can also exist without clear financial value. An advantage is "undue" when it is obtained through a clearly blameworthy act. 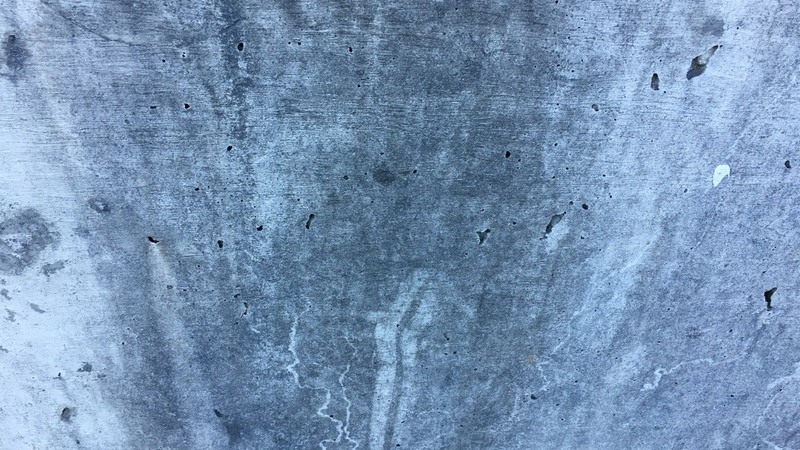 What is considered undue depends on a concrete evaluation in each individual case. Relevant elements in such an evaluation include the financial value and type of advantage, the purpose of the advantage, what position the parties involved have and whether there is a breach of internal regulations, contract, etc. The undue advantage must be related to the recipient's performance of his/her position, office or assignment. Other types of irregularities can also occur, without corruption being involved. All in all, it can be difficult to decide whether a situation constitutes corruption (intentional breach of the anti-corruption regulations) or a lack of competency (unintentional breach). IndustriALL is an employees' organisation that cooperates and works with other organisations through processes that involve both the political authorities and business and industry. In this political landscape, particular challenges can arise with a view to transparency and the documentation of decision-making processes. Effective prevention of corruption requires that priority be assigned to areas, situations and issues relative to the risk they represent. 1.3. To whom do the anti-corruption regulations apply? The anti-corruption regulations are there for all employees, elected officers and others acting on behalf of IndustriALL. This includes elected officers, all employees, contracted staff and others assigned to represent IndustriALL in delegations, on trips and at meetings. It is the responsibility of all employees to comply with the anti-corruption guidelines. Corruption can be committed by IndustriALL's own employees or by third parties acting on behalf of IndustriALL (so-called middle man corruption). a. Bribes are the most common form of corruption, entailing attempts to influence someone to achieve something to which one is not entitled by granting or offering an undue advantage in connection with the person in question's performance of his or her duties. b. One type of bribe is that a supplier gives a buyer a reward (usually referred to as a "kickback") for choosing to buy from the supplier - rather than from a competitor - or, perhaps, choosing a different quantity or quality than what is required by the employer. c. Favouring friends and family can be corruption when someone, in return for an undue advantage, obtains an advantage (a job or something else) on subjective grounds. d. Facilitation payments are payments to promote or ensure the implementation of services to which one is already entitled. Typical examples are requests from public servants for relatively small amounts of money to allow a traveller into or out of a country, to get inventory through customs or for permission to initiate an activity, such as training, for example. e. Trading in influence occurs when a person gives someone (typically an intermediary) an undue advantage to influence a third party's (the decision-maker's) performance of his/her position. Illegal trading in influence can exist even when the decision maker is not aware of either the advantage or the lobbying assignment, and even if attempts to influence are not successful. Hidden lobbying can amount to illegal trading in influence. In addition to dealings with public servants as mentioned above, other elements are also of importance for determining whether corruption is gross or "simple": it is of significance whether the act has or could have entailed a substantial financial advantage or whether there is a risk of substantial damage, and whether the situation also implies incorrect accounting information. a. Gifts, entertainment and coverage of (private) expenses increase the risk of corruption since it is not appropriate to create or further develop a relationship between parties where the wish to cooperate is not necessarily based on professional factors or needs. b. Political donations and other sponsorships can increase the risk of corruption because they can entail bribery - where undue advantages are given without any immediate quid pro quo, but where the expectation from the donor is typically that the quid pro quo will arrive at a later date. c. Hiring processes can increase the risk of corruption - especially in countries with a great deal of corruption. d. Dealing with cash and inadequate documentation for covering costs engenders an informal, undocumented economy that parallels the official project economy. e. Procurements shall take place in accordance with a framework agreement or at the best possible market price. Employees / elected officers shall avoid conflicts between their own interests and the interests of the organisation. This means that employees and elected officers in IndustriALL should not try to obtain advantages that are inappropriate or by other means can be envisaged to harm IndustriALL's interests. If a conflict of interest has arisen or is suspected, any employee / elected official needs to report it to her or his immediate superior without undue delay, or the IndustriALL chief financial officer, or to another trusted person. In connection with especially important decisions, it is to be documented that potential conflicts of interest have been considered. If an employee / elected official suspects corruption, she or he needs to raise the concern through the appropriate channels, so that the situation can be followed up. If the employee is in doubt about the right way to raise concerns, the IndustriALL chief financial officer can be contacted to help. IndustriALL will do all it can to protect the whistle blower(s) from any potential negative impact. All employees are responsible for compliance with the anti-corruption guideline, and every leader is responsible for ensuring compliance under his/her sphere of responsibility. Responsibility for anti-corruption work at IndustriALL rests with the chief financial officer. Questions of interpretation and requests for guidance can also be directed to the chief financial officer, who will delegate the questions, if need be. IndustriALL will follow up on expressions of concern and matters that appear to be unwanted incidents. These routines require that cases be followed up with a view to surveying facts, looking after legitimate considerations for involved individuals, looking after relevant considerations for IndustriALL and other stakeholders, ensuring reasonable progress and a reasonable assessment and decision regarding how the case will be followed up once the facts are presented. In addition to urging people to raise concerns, IndustriALL performs auditing of all its projects. Suspicions may be raised about possible corruption as a result of such monitoring or audits. In such cases, the case will be followed up in the same way as if it had come to light through a notification or official channels. Breaches of the anti-corruption guideline can entail disciplinary reactions for IndustriALL's employees. Possible reactions can include warnings, loss of responsibility and position, dismissal or discharge, depending on the severity of the breach. For those who represent or in one way or another act on behalf of IndustriALL on an assignment, project or business trip, etc., breach of the guidelines could lead to other types reactions, such as claims for financial compensation and consequences for further cooperation (included termination and reimbursement), as well as the "freezing" of funding. Where there is a suspicion of an unintentional breach of the regulations, it may also be relevant to undergo more in-depth training.